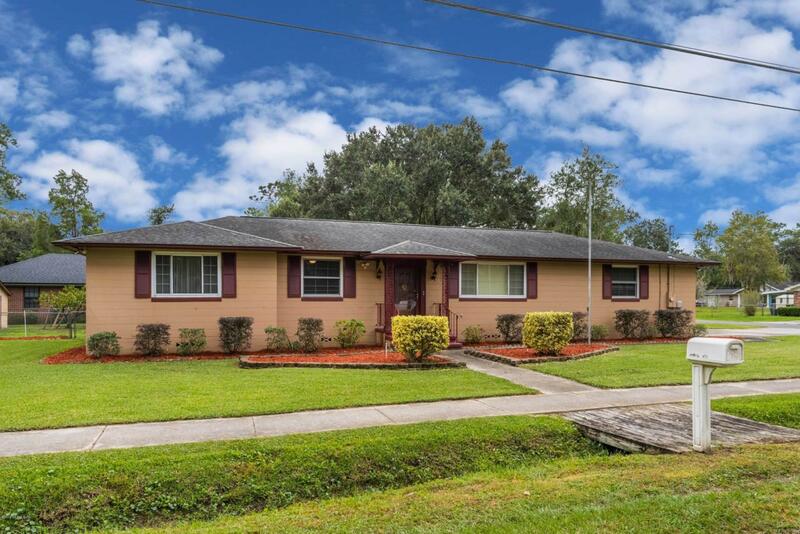 Well maintained concrete block home on a landscaped corner lot. Remodeled kitchen with granite countertops and a large walk in pantry. Refrigerator will be installed before closing. Lots of hidden storage spaces which makes this house unique. It has a separate driveway for your boat or RV, the house has an updated electrical panel with a separate RV hookup. HVAC system has been replaced a year ago and has a nest thermostat. The garage has tons of built in storage and has plenty of room to fit your vehicles. The back yard is fully fenced. Shed is in AS-IS condition.